When a young girl discovers that her new middle school is the same one her sister mysteriously disappeared from eleven years before. She and her new friends join forces to fight the evil force that threatens them all. Young female embalmer Miyako while performing the embalming process the head of the corpse shes restoring is stolen. Miyako search finds her encountering signs of nekrotomic religious cult as well as some dark secrets from here own past. 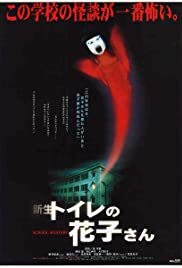 A teacher assumes a position at a school that's run by a vampire.